When considering purchasing a luxury vehicle, two of the most familiar brands in the industry are Mercedes-Benz and Audi. Since both brands field a comprehensive lineup of premium sedans, SUVs, performance vehicles, and hybrid variants — it’s very common for prospective buyers to differentiate the two at first. To help alleviate the confusion, Mercedes-Benz of Easton has created this informative comparison which places these two German luxury brands side-by-side. You’ll discover all the key advantages and benefits of driving a Mercedes-Benz instead of an Audi. Most discerning buyers take the time to carefully consider the overall image of a luxury brand, making it an important factor in their purchase decision. Seductive styling, premium refinement, and a reputation for long-term dependability are just a few critical aspects of a brand which buyers consider when shopping for a luxury vehicle. Mercedes-Benz gives meticulous attention to engineering and design in an effort to build vehicles to exacting standards. Every year, the experts at Kelley Blue Book announce the results of their Brand Image Awards. 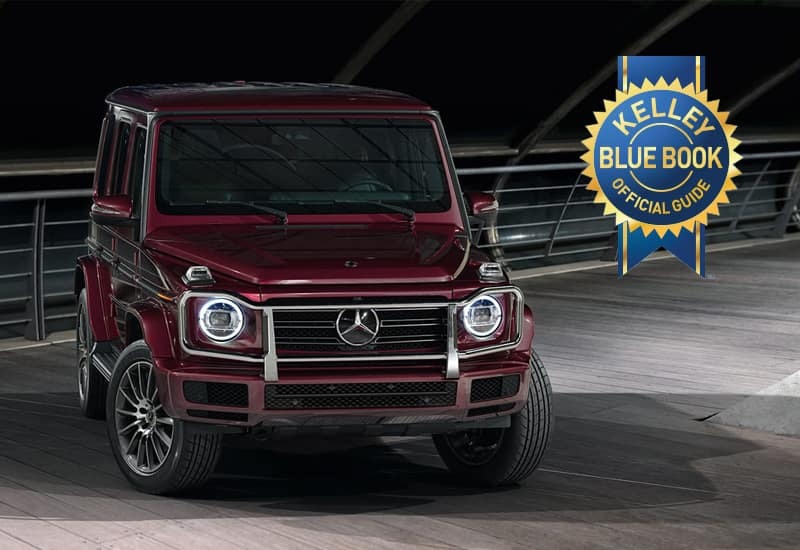 Recognizing the elegance, sophistication, and groundbreaking tech found on every Mercedes-Benz vehicle — Kelley Blue Book has chosen Mercedes-Benz for the honor of Most Refined Luxury Brand for 2018. Standing atop all other luxury brands including Audi — Mercedes-Benz is clearly the best choice for drivers who demand only the best from their luxury vehicle. No matter if your typical drive is a short commute across town or an extended journey across state lines, advanced driver assistance and safety features can make a noticeable difference in your overall driving enjoyment. If you often drive with your loved ones or friends, selecting a vehicle equipped with cutting-edge safety technologies and the highest build quality standards is a great way to instill a sense of confidence and peace of mind behind the wheel. 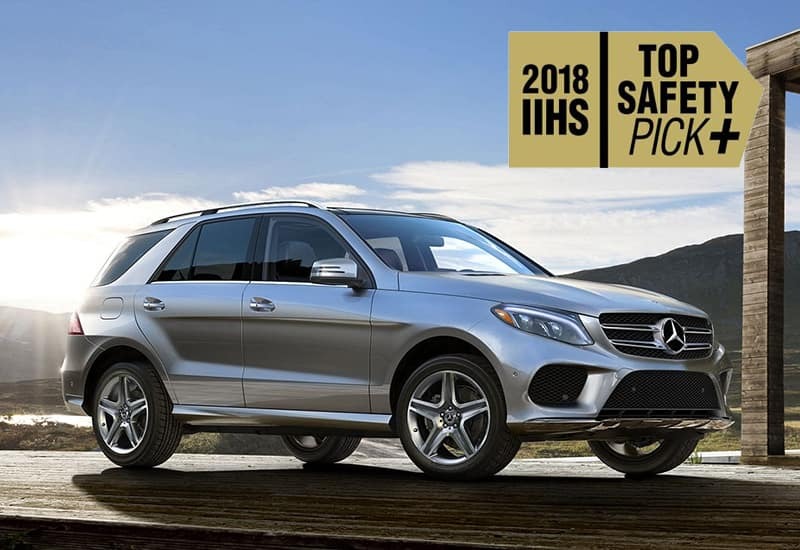 As proof of the brand’s unrelenting pursuit of safety, it’s no surprise that Mercedes-Benz received more 2018 Top Safety Pick+ awards from the Insurance Institute for Highway Safety (IIHS) than Audi. Models which received top honors in the most rigorous test for vehicle safety in the United States are the Mercedes-Benz E-Class, GLC, and GLE. Since day one, Mercedes-Brand has been an industry leader in terms of the development of safety features. Many of the features we take for granted today were pioneered and made their debut on a Mercedes-Benz vehicle. 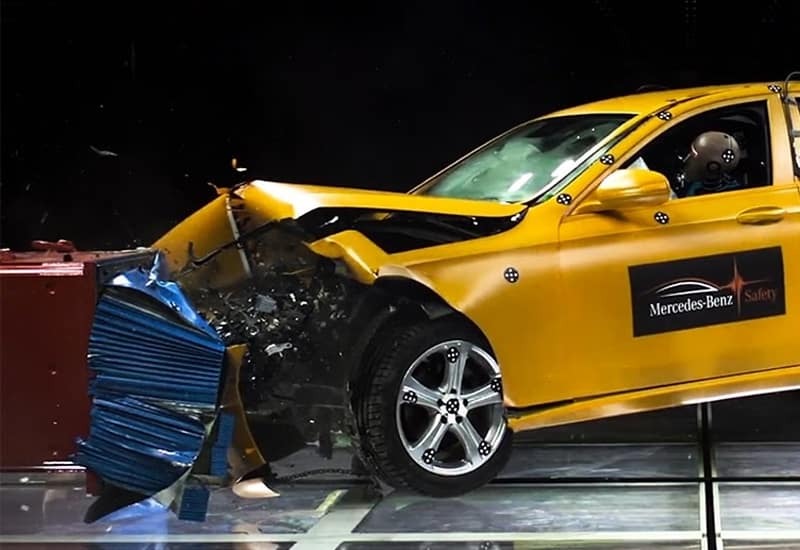 Below are just a few examples of how Mercedes-Benz has remained at the forefront of developing life-saving safety technologies. Beginning in 1983, the team at Car and Drive have announced their choices for the top vehicles on the marketplace in their annual 10Best list. Hand-picked from a wide range of unique and satisfying vehicles, only the best-of-the-best are selected for their blend of driving enjoyment, value, and fulfillment of their intended mission. 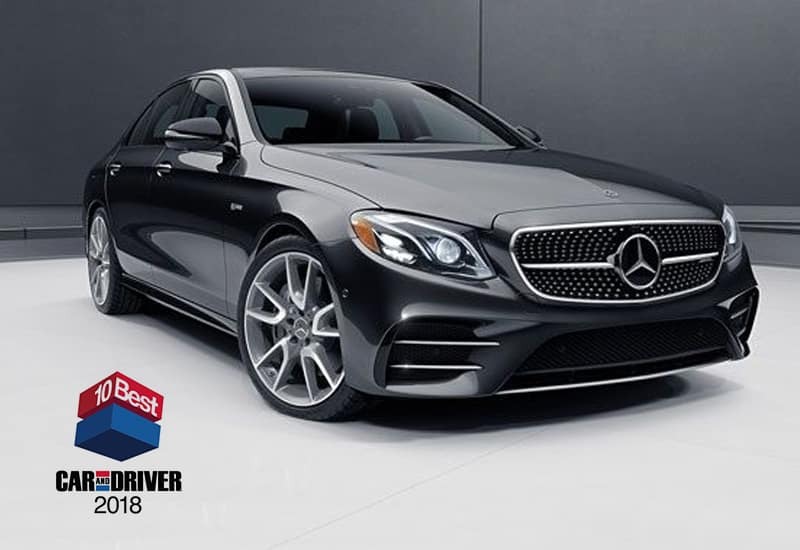 Both the luxurious Mercedes-Benz E 400 and the performance-focused AMG® E 43 have been named to the prestigious 10Best Cars list. In comparison, Audi received only one nomination for a low-volume, niche performance sedan. Featuring an unmatched blend of opulence, versatility, and unparalleled driving satisfaction — the 2018 Mercedes-Benz E 400 and AMG® E 43 have impressed the critics and Car and Driver. Enhanced by proven Mercedes-Benz sophistication along with a collection of advanced tech features, these E-Class models offer inspired performance that ranges from mild to wild. Whether you’re searching for a spacious four-door sedan, dynamic coupe, airy convertible, versatile station wagon, or even the performance-oriented AMG® E 43 — Mercedes-Benz has an E-Class that’s perfectly suited to your lifestyle and driving preferences. Uncompromised luxury has been synonymous with the Mercedes-Benz name for decades. Continuing its iconic reputation, the Mercedes-Benz S-Class remains one of the most instantly-recognizable flagship vehicles of any brand. Stunning attributes of every S-Class include precision engineering, potent performance, unmatched interior comfort, and now the most current in semi-autonomous driver-assistance systems. 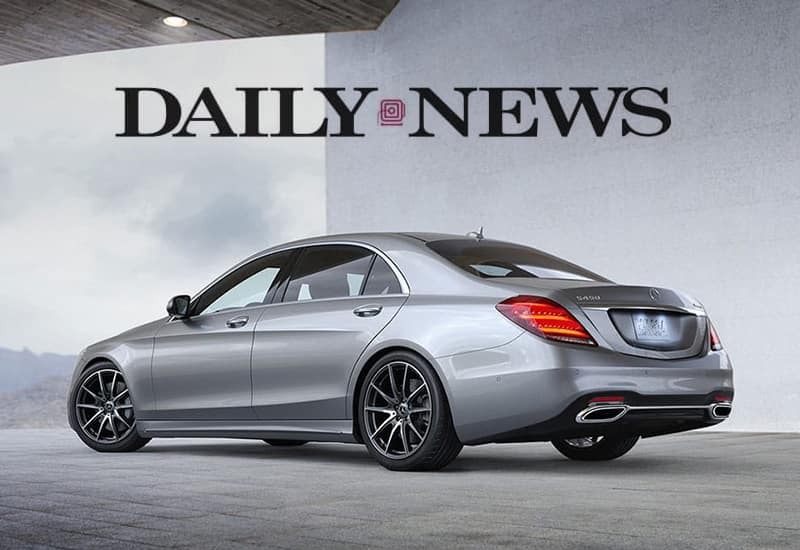 Highlighting its excellence, New York Daily News has announced that the Mercedes-Benz S-Class has been chosen as the Best Luxury Car of 2018 in their 2018 DNA Awards. 1. Source: J.D. Power 2018 U.S. Vehicle Dependability Study (VDS). Charts and graphs extracted from this press release for use by the media must be accompanied by a statement identifying J.D. Power as the publisher and the study from which it originated as the source. Rankings are based on numerical scores, and not necessarily on statistical significance. 3. To qualify for 2018 TOP SAFETY PICK, a vehicle must earn good ratings in the driver-side small overlap front, moderate overlap front, side, roof strength and head restraint tests. It also must earn an advanced or superior rating for front crash prevention and an acceptable or good headlight rating. To qualify for 2018 TOP SAFETY PICK+, a vehicle must earn good ratings in the driver-side small overlap front, moderate overlap front, side, roof strength and head restraint tests, as well as an acceptable or good rating in the passenger-side small overlap front test. It also must earn an advanced or superior rating for front crash prevention and a good headlight rating. 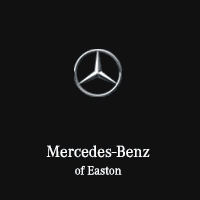 Mercedes-Benz of Easton	40.0568645, -82.9176831.